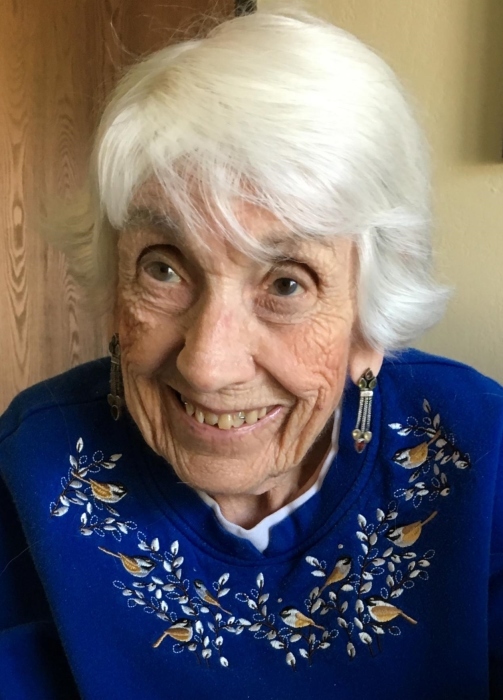 Of Jackson, MI, passed away at Arbor North on Monday, November 26, 2018 at the age of 96. Jewell was the daughter of Robert and Dolly Richards, born June 23, 1922 in Doniphan, Missouri. She is survived by her daughter, Judy Hopkins; three grandchildren, John Hopkins, Andrew Hopkins, and Hanna (Ben) Weidner; four great-grandchildren; 3 great-great-grandchildren; and numerous nieces, nephews, and cousins. Jewel was preceded in death by her husband, Callie; daughter, Doris Hagemann; three brothers; four sisters; and her parents. Jewell enjoyed playing cards, especially with her friends Nancy, Martin, and Bob from Arbor North. The family would like to thank the Arbor North staff, Great Lakes Campus staff, especially the Hospice Team Dr. James O’Connor, Janine Parmelee, and nurses Shelia, Stacy, Stephanie, and John. They are the most caring and compassionate individuals. Also those who stayed by her side and that provided the wonderful care around the clock at a moment’s request, Angie and Dale. A most gracious and heartfelt thank you to Monica and Savanna for providing care for her throughout the past few years. According to her wishes, cremation has taken place. A private inurnment will take place at Roseland Memorial Gardens in the spring. In lieu of flowers, please send memorial gifts to Great Lakes Hospice, 900 Cooper Street, Jackson, Michigan 49202.